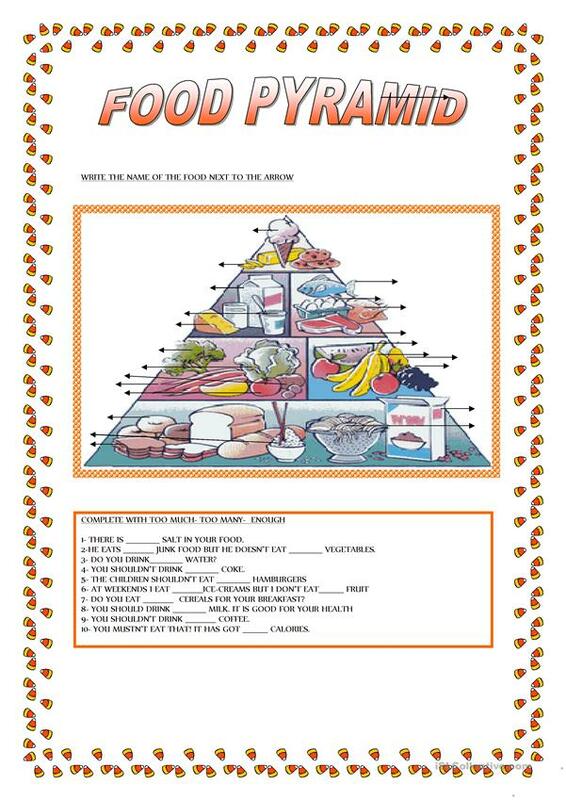 There are 6 activities 1- write the food next to the arrows 2- complete with too much-too many-enoug 3- write healthy or unhealthy next to the food 4- complete with too or enough 5- complete with should or shouldn't 6- complete the questions with how much-how many. 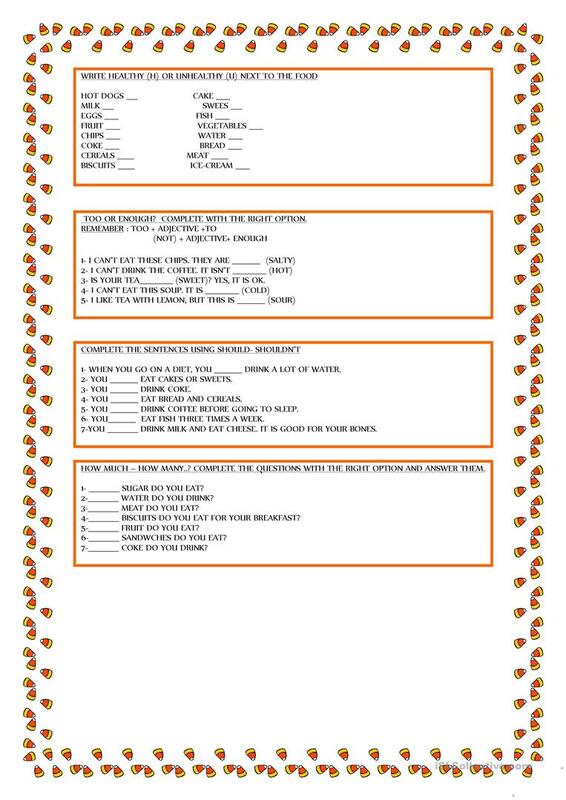 The above downloadable teaching material is a great resource for elementary school students at Elementary (A1) and Pre-intermediate (A2) level. It is great for practising Determiners (words that can come before nouns) in English. It centers around the vocabulary topic of Food.